Shazzer: Introduce people with thoughtful details. Such as: "Sheila, this is Daniel. Daniel, this is Sheila. Sheila enjoys horse-riding and comes from New Zealand. Daniel enjoys publishing and comes..."
Bridget: ...all over your face? Q: What are the differences between the BBFC-15 Version and the R-Rated Version? What made this film work? What made this film break the usual British romantic conventional route? One actress! 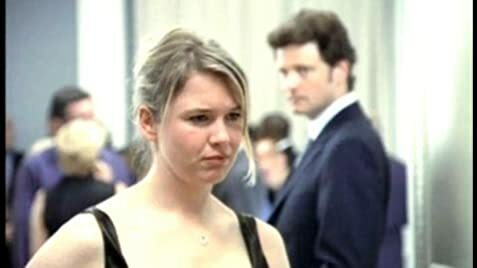 Her name is Renee Zellwegger, seriously, if the actress was British, this film would've been -'been there, done that'. 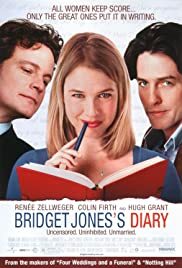 Instead, this clever casting has made Bridget Jones a wonderful little picture. Renee Zellwegger is an actress who changed to suit the screenplay, now that is ACTING! Her mannerisms, her weight, her enthusiasm and cutesy style are a wonder to behold. Colin Firth does a great job, he plays his role well, a future James Bond perhaps? Hugh Grant finally gives us something different, he was actually quite funny at times. Maguire as the director handles the proceedings extremely well, this is her debut and I think she will become quite successful with small films. The Super35 wide-screen frame is used well, bravo! The screenplay is lightweight, but written well, plenty of ad-lib and spontaneity transcend the script. As a male, sit back and have a laugh. Quality!